This classy black outdoor wall light comes with a compatible light bulb in a vintage Edison style. Like clean lines of light. I purchased larger one must return because to large. I can no longer climb to change light bulbs and I am hoping that this is open ended so that should it become necessary I will be able to do so easily. I really like the simple lines and black color. Very classic look! 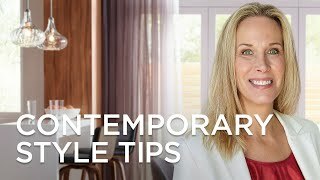 They are very sleek, modern and classic looking. 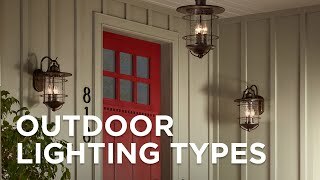 It matches the semi-mount fixture I purchased for the front porch. They’re the right color, style and bulbs other than vintage can be used. For it's sleek and modern look. Purchased 3 for front of the house and love them. This one is for the back patio. Good quality, great price, easy to install. They will be a nice upgrade to the 1990's lights currently on my lake house which we just repainted. 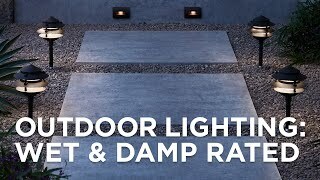 Is this wall light (style #8M831) rated wet or damp for outside use? BEST ANSWER: Hi - This is rated for wet locations. Yes, I believe so. Ours is outside and looks as good as the day we bought it. 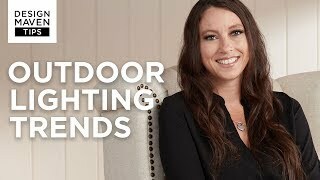 what is the extention on the Arrington outdoor light? BEST ANSWER: Hi - This extends 7" from the wall. Does this light contain lead? BEST ANSWER: Hi, the lamp does not contain any lead. Does the Arrington outdoor high mystic black lamp #8M831 come in a larger size? BEST ANSWER: Yes - you may click on the picture below for the larger 13" high size. BEST ANSWER: Hi Kate - Try solar light Style #13W69. I have also added a link below to some other available solar wall lights below. Can the glass be removed and the unit be painted white? BEST ANSWER: Hi Lee - Yes, the glass can be removed. Yes, it actually was shipped without the glass installed so you can definitely do that. Does the height include the backplate? How high is the glass-enclosed area? BEST ANSWER: Hi - yes, the overall height of 10 1/2" includes the back plate. The height of just the glass enclosure is estimated to be 7" - 7 1/2". The 10 1/2” height does include the backplate (from top of backplate to bottom of fixture). Height of just the glass part is 8”. Is there a post light that matches or is similar? BEST ANSWER: Sorry, no matching post light for this one, but we do carry a line by Quoizel that is of a similar look that has both wall and post mounts. BEST ANSWER: If the light is being used outdoors it cannot be mounted facing upwards. If the light is being used indoors it can be mounted facing upwards. Can you recommend an LED style filament light for this light? Edison looking 60 watt-warm...Thanks! BEST ANSWER: LED "vintage" bulbs below would work in this fixture. Both have warm 2700K light. How far apart of the screws to bolt the light? BEST ANSWER: Hi - the distance between the screws is 3". What color is the finish? It says "Mystic Black" but the product comes up when I am searching for Bronze fixtures - which is what I want. BEST ANSWER: The finish on our lamps was black. However, I think there was also a bronze finish available and there was a sample in the store showroom. 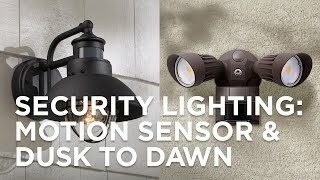 Motion detecter lights are they available? 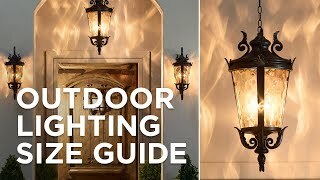 Outside light with motion detecter? Can these be used inside? BEST ANSWER: I bought mine for outside and my electrician installed them. But I can't see a reason why they wouldn't work inside. They are very cool! Can this be hung facing upward? 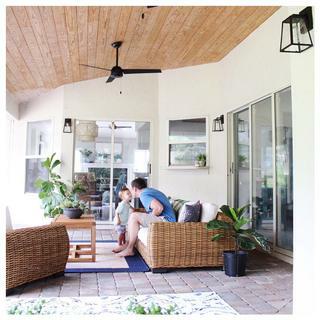 We hope you like the photos styled by @withinthegrove - look for more exciting images and video on our product pages! Love this style and the adaptability between vintage and ordinary bulbs. They stay clean since the bottom is open and bugs can’t get trapped inside. We wanted to give a little refresh to the outside of our house, and I hated the lights that were previously there. Because it was enclosed on the bottom, birds and bugs were constantly building things inside or getting caught, so I loved that this was open on the bottom and doesn't have that issue. Installation was fairly easy - my husband did them himself and it only took about two hours for two lights. The only negative I can think of is that the plate for this didn't align with what we previously had, so it would be good to have that detail before ordering. I'm not sure it really would have helped us because we didn't really know what was behind the original light, but he had to get creative in drilling some additional holes in the plate in order to get it attached. Also, it would be great if you could use something over 60W, especially since it's an outdoor light. I'd really prefer to have 75 or 100 out there for better visibility, but the 60W seems to be working okay. Overall though, we're super happy and I love the look of these. Nice lamp. I wish the metal parts were thicker. We purchased 3 of these lights to replace the existing ones after repainting our house. As other reviewers mentioned, we liked the look, the ability to accommodate LED light bulbs, and the open bottom. However, the installation instructions are not very detailed, the glass is a pain to install in the fixture (the 4 panes ship separately), and on one of them the ground wire pulled out of the crimp on the back of the lamp during installation, resulting in 2 broken panes of glass. The good news is that replacement glass is available. The bad news is it costs $9.95 for 4 panes plus shipping and tax. Installation would be much easier if the glass was installed at the factory. Hi Aimee H., sorry to hear that you had some trouble during the installation of your wall light. We do have our customer service team available for assistance with troubleshooting or installation, so please feel free to reach out to them in the future if you have any questions or concerns. Thank you. Exactly as pictured, they look great! 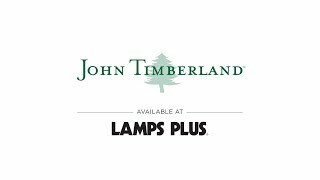 I remodel homes for a living so we often come knocking on the doors at LampPlus. I found that in particular Mr. Ali has always been very helpful in getting us what we're looking for at a competitive rate. He's provided excellent customer service which is why I keep coming back. Well done! 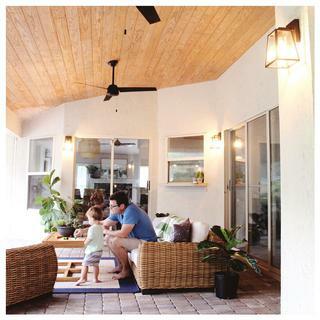 Super Easy install and looks great on our brick mid-century house. I ended up going with the bigger one. It looks very nice. The light is a good quality and looks great. Shipping was quick. Very happy with light. Nice simple contemporary look. Very happy with the look and quality of this fixture. I love this! Simple, elegant. 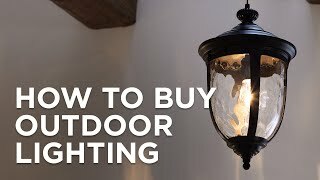 We purchased this light for our front porch. It illuminates the space perfectly. Love it! These came just as described. Very easy to assemble and install. They are a bit lighter in weight than expected, but the size is great for our front and back doors. Really great value! Troy Lighting&#39;s Dana Point outdoor wall light features a rectangular shade in textured black that&#39;s complemented by two brushed stainless contrasting bands. Mount Tech Lighting&#39;s Ebb outdoor LED wall lightin a classic black finishin your yard for a functional yet modern look. Sonneman&#39;s Inside-Out Glass Glow LED outdoor wall light in satin black finish is squared for a modern look and paired with a clear etched glass shade.